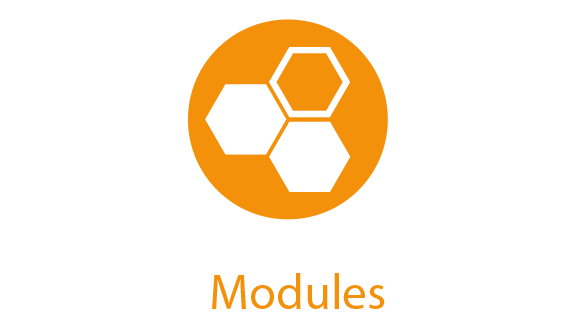 The module range of the EMKA Rack Management System consists of a central Control Unit and up to 100 function modules for handles, locks, sensors, card readers and keypads connected to it. The function modules are the interfaces for system administration and user authorisation that capture e. g. the entering of code numbers on keypads, the reading out of contactless cards, the control of the system via mobile phone and others. The Control Unit is the central control unit within the EMKA Rack Management System. The function modules for handles, locks, sensors and card readers are connected to the Control Unit. It administers both the data exchange between the modules (CAN bus) and the data exchange to external computers (Ethernet network among others). The Access Unit controls up to 2 swinghandles of the Agent E wired. It is in turn directly connected to the central Control Unit. 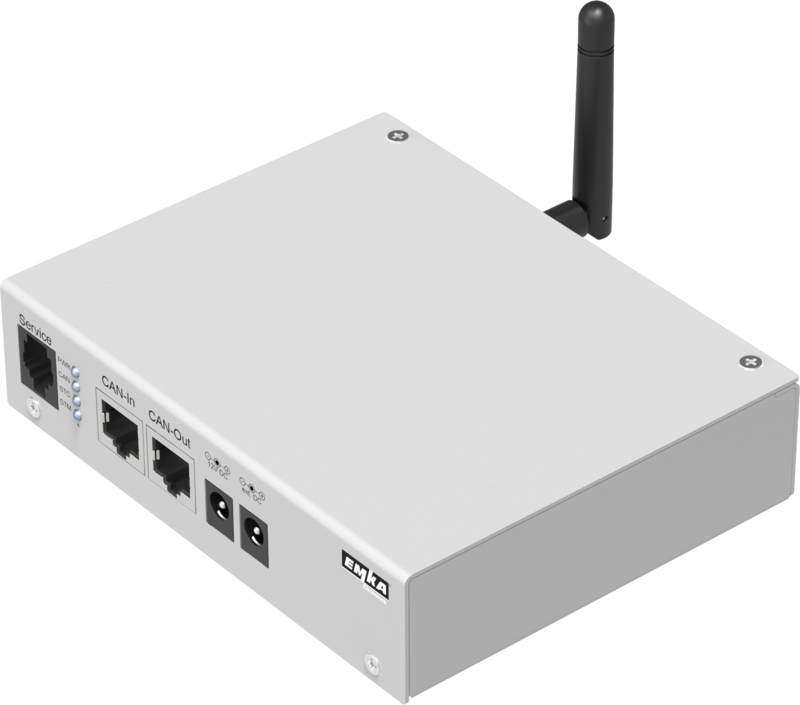 In combination with the Control Unit each individual Access Unit Wireless can administer up to 500 Agent E Wireless handles. This module can control up to 8 handles with magnet and read in the 8 handle contacts for status information. Instead of a handle also a door contact can be connected. The opening pulse for the respective handle is triggered by keypad, card or the software Control Cockpit. The states (open / closed) of locking systems, doors and side walls can be analysed via the existing inputs. Handle outputs: 8, min. 2.8 Ω. A pulse of 40 V, max. 15 A for max. 30 ms duration will open the handle. This module can control up to 8 one-point latches, handles with locking set or swinghandles and read in 8 status contacts. It is possible to activate several locks simultaneously. 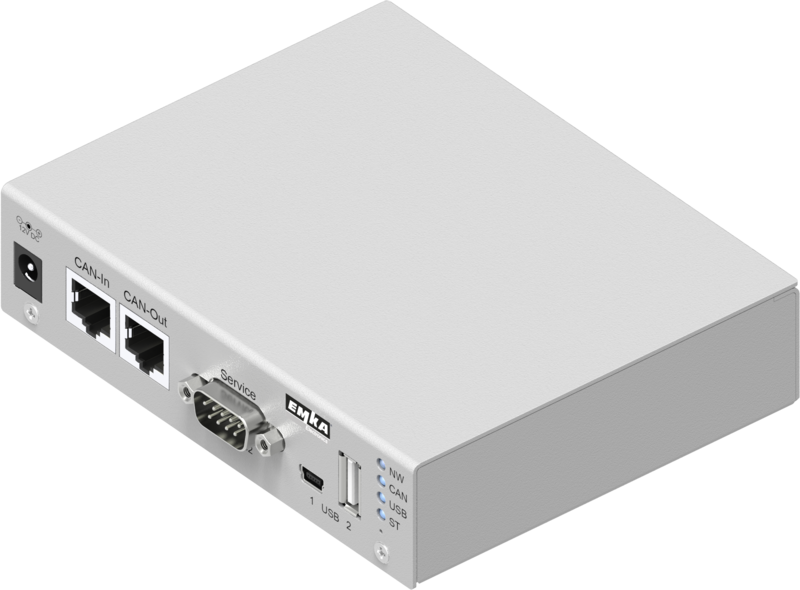 In this case it is recommendable to connect a power supply unit to each control unit. The opening pulse for the respective lock is triggered by keypad, card or the software Control Cockpit. The states (open / closed) of locking systems, doors and side walls can be analysed via the existing inputs. For supplying the locking systems with 24 V operating voltage a suitable power supply unit can additionally be connected using the input "ext. DC" on the front. The Sensor Unit is connected with specific sensors for measuring different operating states in the server racks. When limits are exceeded, it triggers alarms, switches fans or air-conditioning units on and effects the emergency opening of doors. Switching of max. 4 alarm relay outputs (e. g. switching fans on or off) depending on the sensor measurements. The card reader HID is connected to the Access Unit Wired as an external reading unit and can read various contactless cards on the basis of HID and other card technologies. The reader has terminals and is connected with the Access Unit Wired by means of a 4-wire cable. The maximum cable length between module and reader is 10 m.
The keypad is used in combination with handle modules to locally open selected locks by entering the designated PIN code. In combination with the Access Unit Wired only the lock number is entered on the keypad while the transponder card contains the authorisation. The Access Unit Wired also makes a double authentication possible (keypad with personal PIN code and card).